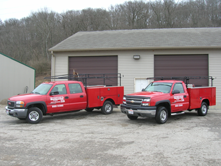 About us – Tischbein Co. Inc.
is a family owned and operated drainage and sewer contractor that has been serving the Greater Cincinnati area for over 60 years. 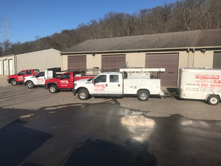 It is our commitment to quality, service, and hard work that has kept us a leader in the drainage and sewer business for the past 6 decades. Our philosophy of quality over quantity, reliability, and hard work has allowed us to maintain a customer base that is second to none. We greatly value our customers and hope to continue to serve you now and in the future. 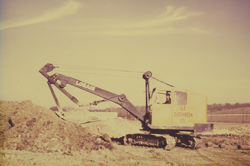 Started in 1948 by George E. Tischbein the company has evolved tremendously over time. 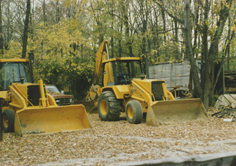 At its infancy Tischbein Co. Inc. began by excavating and installing residential sewer service for new and existing homes. As time went on the company began to expand to perform larger commercial drainage and sewer projects. By the 1970’s two of George’s sons Phil and Jeff had joined the company. The company continued to grow and do larger jobs through the 1980’s such as the Cincinnati Financial building, GM, Atrium One, Atrium Two, etc. In the early 1990’s Phil Tischbein took over control of the company with a more customer oriented business plan. He wanted to take his commercial sewer and drainage and apply it to a residential application. 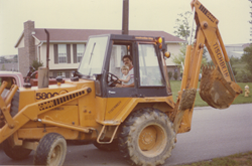 In 2004 Phil’s son Brent joined Tischbein Co. Inc. Now as a third generation family owned and operated business we continue to serve our residential and commercial customers drainage and sewer needs. We are a family owned and operated third generation business. 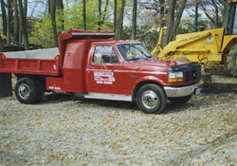 We have been serving the tri-state area in the drainage and sewer industry for over 60 years. Our strong commitment to quality over quantity, reliability, hard work, and customer service is second to none. Accredited BBB member with A+ rating. Angie’s list contractor with A rating. Licensed sewer tapper with MSD. When it comes to solving all your drainage and sewer problems, everyone needs professional help – our help!